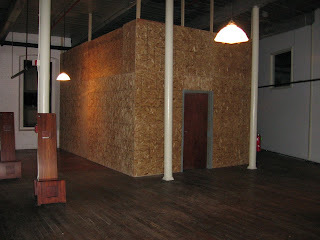 Elevator Work Moving Forward--Fiscal Help Needed! The photo is that of the temporary enclosure around the work being done to install an elevator at the Narrows. Your fiscal support of this project is still needed! Trad country Texans Jimmie Dale Gilmore and Butch Hancock wrapped up the Narrows summer concert season Friday night. The next shows in the facility are in September. But the Narrows will have several stages at this year's Fall River Celebrates America. Visit www.ncfta.org for more information. Anyway, it was the first visit of these legendary performers to the Narrows. 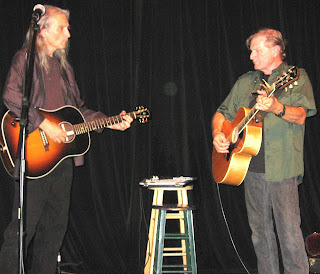 Jimmie Dale graced us with his country soul vocals and his cosmic, almost childlike take on the world. Butch Hancock was more down-to-earth; the two balanced each other nicely. 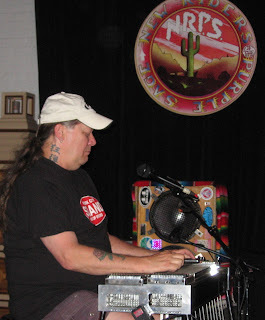 As of right now there are still a good chunk of tickets available for tonight's (Friday) Jimmy Dale Gilmore and Butch Hancock show, so showing up at the door should be no problem. This is the first time we've hosted these folks, and response has been good. See you tonight at the Narrows? Some photos of last year's Savoy Brown show available in the December, 2006 section of this blog. 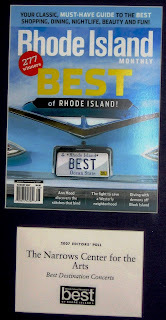 Your humble blogger has already received his copy of the new issue of RI Monthly (August 2007) in which the Narrows gets a "Best of RI" award for being the best place to hit the road to see a concert. I'm sure I'm speaking for Patrick Norton and all of the volunteer staff, management and board of directors in saying that it was only possible through the willingness of our patrons to come to the shows over the past 5 years, to make donations and to spread the word about the Narrows. This is a big win for all of us who love the Narrows! Slaid Cleaves Song Used For Car Commercial? Was it me, or was that a Slaid Cleaves song I heard on a car commercial yesterday? Can't seem to find any info. Anybody know? "Sure, there’s plenty of good music in Rhode Island, but sometimes a good melody –inspired road trip is in order. When the urge hits, head to The Narrows, a Goldilocks-sized (not-too-big, not-too-small at 280 seats) performance space in a renovated mill overlooking the water. Roots music is centerstage here- bluegrass, blues, folk and country by musicians ranging from big names like Richie Havens to talented up-and comers like Sarah Borges and the Broken Singles. An added bonus: you can bring your own food and alcohol, a sure sign this is as far away from the corporate produced concert scene as you can get." 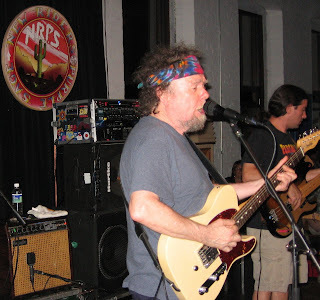 The New Riders of the Purple Sage, once a side project for the Dead's Jerry Garcia, brought their cosmic Americana country approach to the Narrows for the first time Friday night. Original members David Nelson (who was once a candidate to replace Bob Weir in the Dead) noodled with steel guitar whiz Buddy Cage, as members of the crowd danced. If you subscribe to Cox or Comcast cable, chances are you can see a 45 minute film about the Newport Folk Festival, 1963-1966. See Bob Dylan ask "Does anybody have an E harmonica?" People throw several on stage. See Peter Yarrow--of Peter, Paul and Mary--with a healthy head of hair. See Howlin' Wolf, Son House, John Hurt and Fred McDowell live. See Joan Baez and Judy Collins. See Narrows' alum Odetta sing with Pete Seeger about "studying war no more." Your humble blogger is reporting live from FLA, a center for death metal, Jimmy Buffet and the Bellamy Brothers. 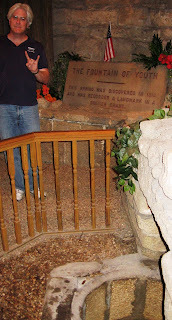 And, of course, the Fountain of Youth, located in St. Augustine. It's in a park that your humble blogger suspects is run by a commune of hippies. It was a natural, after Bruce Springsteen's CD and tour recognizing the pioneering music of Pete Seeger. Bruce and Pete have done a couple of tracks together. Came across this info about what the Queen of Alt.Country Emmylou Harris is up to. It's nice to see when nice people do good. Narrows alum Lori McKenna (that's her in the photo) has been kinda "adopted" by country superstars Faith Hill and Tim McGraw. And Narrows alum Mark Erelli ain't doing badly himself. Read more in this article from projo.com.